Interior spread design for Philip-Lorca diCorcia's The Institute of Contemporary Art / Boston book. I worked on Swanson Studio’s 20/2 book. One of the images was used for a large gallery piece. I worked on Philip-Lorca diCorcia’s Thousand project, which included the management of over 1,000 unnamed photos laid out over 2,000 pages. Under art director Tom Starace, I worked on HarperCollins’ Yes Virginia, There Is A Santa Claus children’s book. What's Up Magazine design and illustration. Title page for The Art of War book. 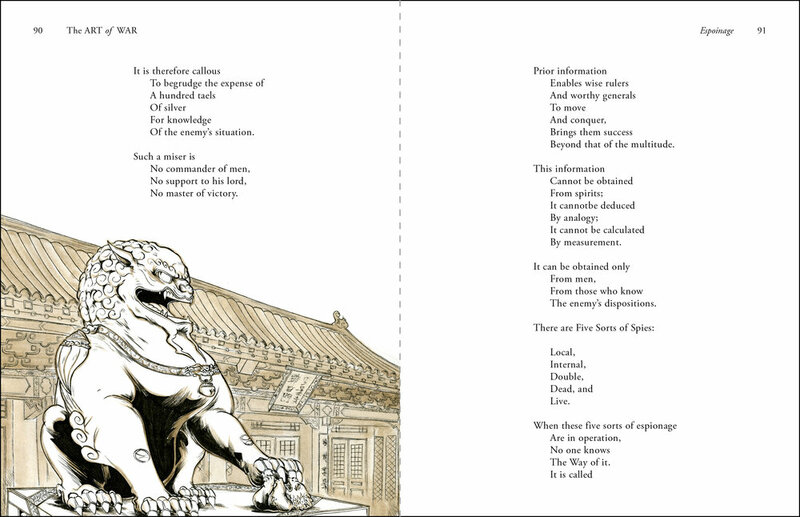 Interior spread for The Art of War book.